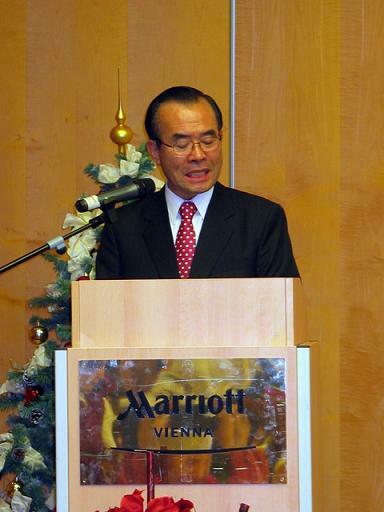 In the afternoon of Sunday, 2nd of December, more than 220 guests gathered at the Hotel Marriott in Vienna in order to participate in the second “True Family Award Banquet” , organized by the peace organisations of the Unification Movement of Austria, the Universal Peace Federation (UPF), the Family Federation for World Peace and the Women’s Federation for World Peace. 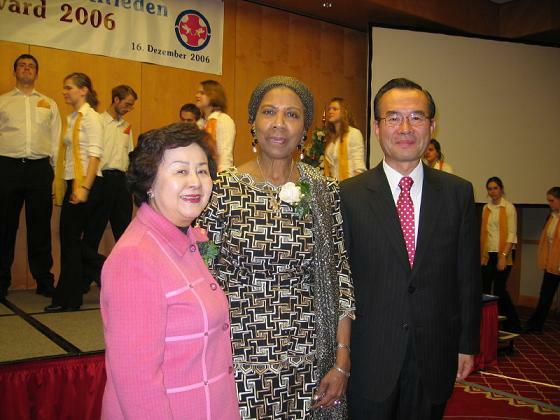 Christmas carols and spirituals, presented by the “Vienna Peace Choir” prepared the atmosphere for the first speaker, Mrs. Marie-Therese Kiriaky. Her topic: “Oriental Christmas”. As the President of the Arabic Women of Vienna and the Vice President of the Oriental Christians of Vienna she was most authentic to give insight in the life of the Christians of the Middle East. The presentation of the second speaker, Dr. Wolfgang Czerny, picked up the topic on purity before marriage as preparation for a stable family life. Dr. Czerny’s initiative “Pure Love Alliance” offers a chance for young people to join this idea. In her speech, Mag. Caroline Klade, owner of the “Communications’ Academy” and professor at the University in Krems, made us all reflect on our way of communicating with our spouse or children. The next speaker, Mag. 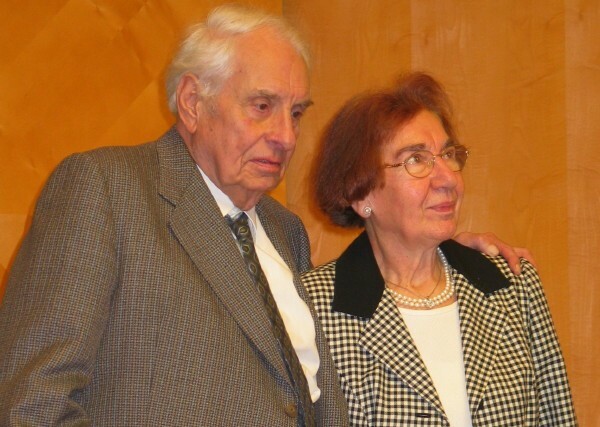 Herbert Wolf, explained about “Family ethics in the Far East”, pointing out the importance of the parent-child relationship, filial piety and respect for the elder in Confucian ethics. He pointed out that these are values which need to be revitalized in today’s western society. After his speech “The four realms of love” Rev. 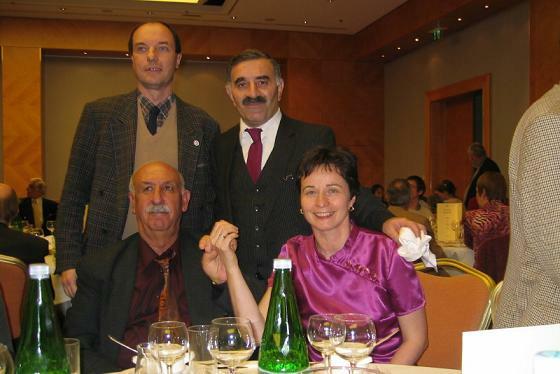 Pak and his wife, as well as Rev. 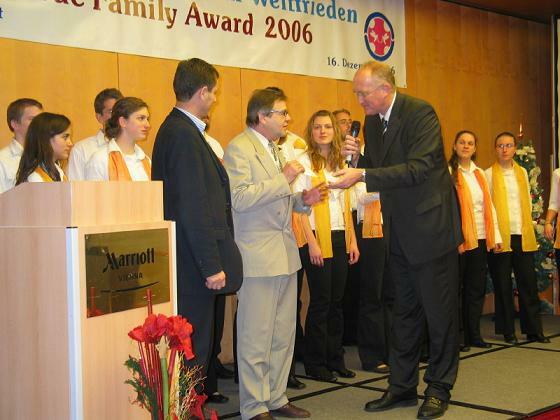 Zöhrer and his wife presented the “True Family Award”- plaque to 10 exemplary families. The MC introduced each one of them, explaining why they had been chosen for the award. The highlight of the evening was when these families gathered on the stage, some with their beautiful children. 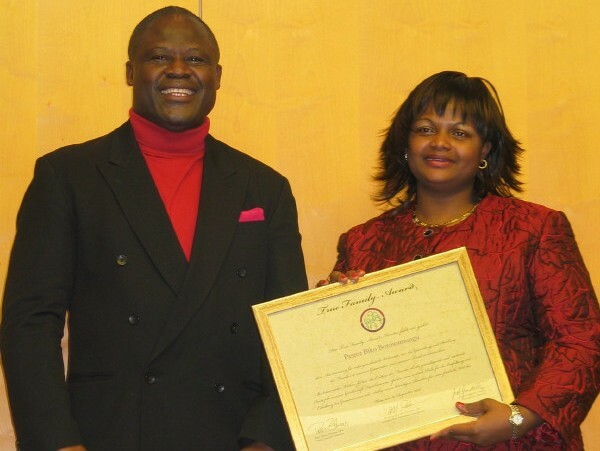 Their lively example of practising true family values was a great inspiration for everybody in the room. 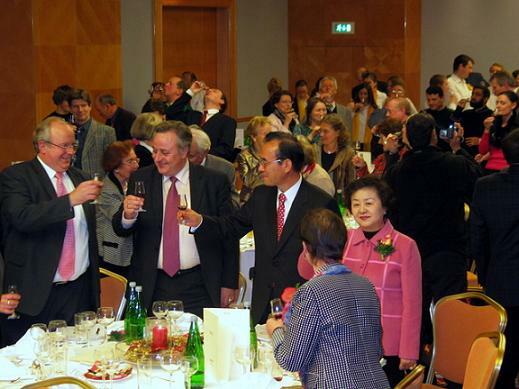 After the Award-Ceremony dinner was served and there was time for sharing among the guests. The program ended with Christmas-songs by the “Vienna Peace Choir”, which was greatly appreciated by the audience. 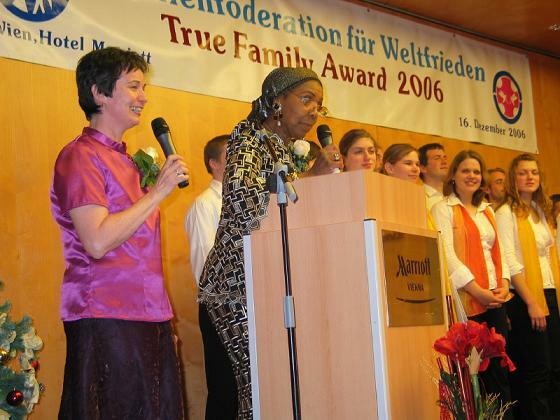 On December 16th 2006 the Universal Peace Federation in Austria invited their guests for a Christmas Celebration and the True Family Award Banquet 2006 organized by the Family Federation. 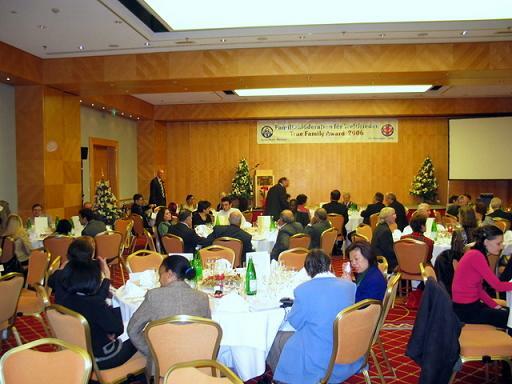 Such a banquet was the first of its kind in Austria and also Europe, following a 10 year long tradition in the United States. The Viennese Peace Choir created a beautiful Christmas atmosphere through their Christmas songs. An Ambassador for Peace from the Aramaic Syrian-Orthodox tradition gave an insight how Christians who speak the original language of Jesus prepare themselves through a special time of fasting for the birth of the Lord. Then a Catholic lady from the Caribbean Island of Trinidad convinced the audience that the happy people in her part of the world know best how to celebrate the joy of Jesus` birth. 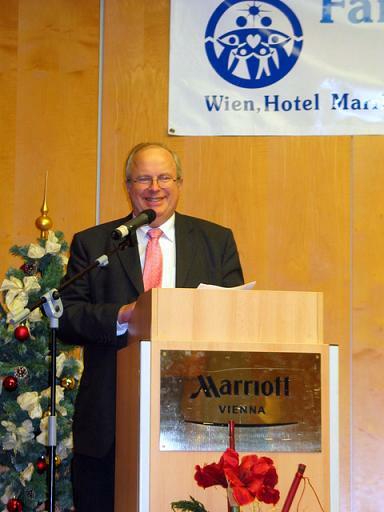 Peter Haider, UPF Secretary General in Austria gave a report about the activities of UPF-Austria in 2006. The colourful Power-Point Presentation demonstrated the variety of programs which had taken place: A monthly “Jour Fixe” promoting the dialogue among the different religious traditions, lectures relating to the peace and the understanding among cultures, 1-day seminars on the “Philosophy of Peace”, an exchange program inviting Palestinian youths etc., all together more than 30 events also in the cities of Linz and Innsbruck. At the end he asked for a donation in support for Chechen orphans in Azerbaijan. 1000 Euros were handed over to the representatives of the “European-Chechen society”. 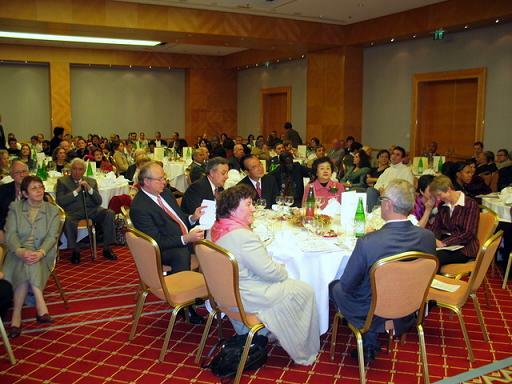 Among the 200 attending guests were the former Ambassador of Libya to Austria, the cultural attaché of the Egyptian embassy, the president of Vienna Integrationskonferenz, the head of the Alevitic Community in Austria and the president of the Coptic Community in Austria. 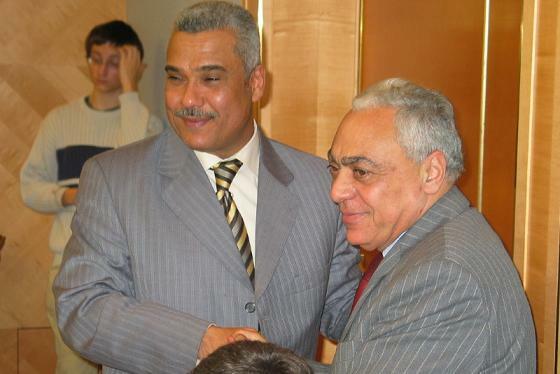 Dr. Hassan Mousa, founding director of the “Islamic Academy in Vienna” and now head of the “Al-Azhar” School in Vienna was appointed as a new Ambassador for Peace. The Christmas program was closed by the choir and led to the True Family Award Banquet. Mr. Josef Gundacker, the director of Family Forum Austria gave a PowerPoint presentation, which was a profound explanation of True Family Values in its relevance to the Austrian society. 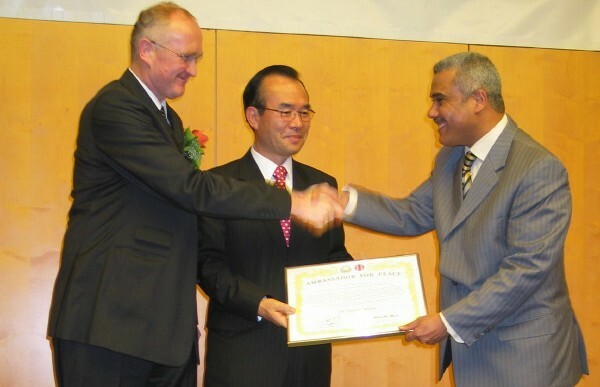 Its title was: "From a Culture of Singles towards a Culture of Marriage and Family". Mag. Maria Neuberger-Schmidt, the director of “Parents-Workshop” gave an eloquent presentation on the necessity of partnership and parentship training. After a festive banquet meal, Rev. Dr. Pak, the president of the European region including Italy, Switzerland and Austria gave a short but very inspiring speech about the history and meaning of the “True Family Award” to the participants. 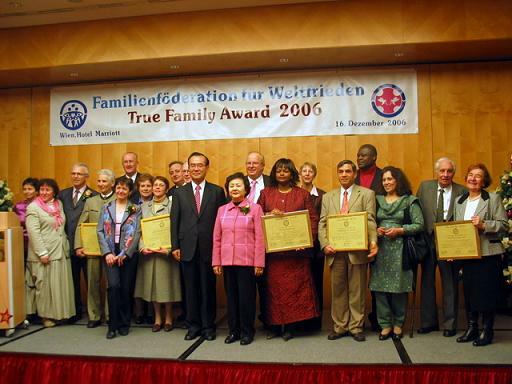 The couples who received the True Family Award were Ambassadors for Peace who have exemplary families and some Unificationist families who have been campaigning for family values since many years. Rev. 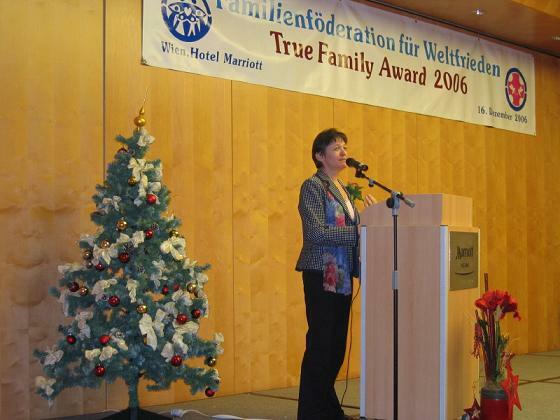 Peter Zöhrer, president of FFWPU–Austria, announced that from now on every year around Christmas time, the True Family Award Banquet will be held in order to strengthen the families and family oriented NGOs. “We wish you a merry Christmas” by the Vienna Peace Choir concluded the program.